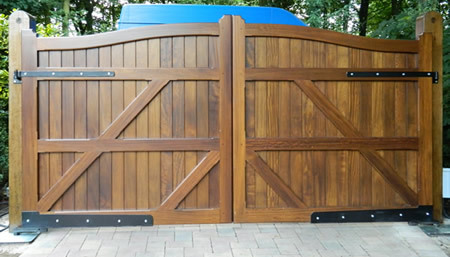 At Lancashire Gates we specialise in the manufacture of timber gates suitable for automation and work closely with our gate automation installer, using only market leading equipment. If you are considering automation on your gates we will arrange for our installer to contact you and discuss your requirements. A full site survey can be carried out for you, where all technical advice and system types can be discussed. It is important to have any automation system serviced each year as this will ensure that you get the very best from your product. Safety is fitted to all of our systems as standard and all domestic installations come complete with an electrical Part P certificate issued by the installer, this is required by law. The sliding gate kit is used for both tracked and cantilever sliding gates. Available in 230 volt, 24 volt and three phase. We have motors for any size of gate weighing up to 4000kg. All accessories are compatible with the operators such as remotes, keypads, push buttons and intercoms etc. They are available in electro mechanical only. In the eventuality of a power cut there is a key operated manual release allowing you to override the system and open the gate manually. Also 24 volt versions have the option of battery back up. Most customers opt for a remote control handset, generally kept in the car. Operating the handset opens the gates. Some systems require a second press of the handset to close the gates but others will be configured so that the gates close automatically – generally where the gates are keeping children or animals secure. There are many other ways to operate the gates, ranging from a simple pushbutton through to ‘digipads’, swipe cards, roadway vehicle sensors, intercoms and even mobile phones. 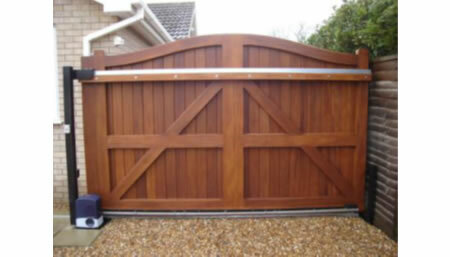 Every Lancashire Gates system is designed specifically for each customer. In some situations, only one system will fit the bill. Often, 2 or more types could be used and the decision is then down to cost. Broadly, ram systems are least costly. To make the choice more confusing, either system can be ‘hydraulic’ or ‘electromechanical’! Hydraulic gate operators use an electric pump and pressurise fluid, to open/close the gate. Electromechanical units are simpler and work by means of an electric motor connected to the gate through a gearbox and mechanical link. There are pros and cons with both systems. Electromechanical are generally robust and reliable. Again, routine servicing is important but, if they do fail, they are easy to repair. The above ground ram kit is available in both 230 volt and 24 volt. 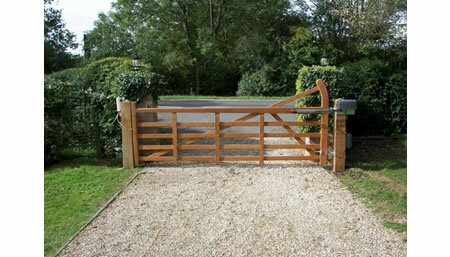 We install rams that can swing gates up to 7m each leaf in width. All accessories are compatible with the operators such as remotes, keypads, push buttons and intercoms etc. They are available in both electro mechanical and hydraulic versions depending on the usage and environment they are being installed in. In the eventuality of a power cut there is a key operated manual release allowing you to override the system and open the gates manually. Also 24 volt versions have the option of battery back up. The underground kit is by far the most popular as it is the most discrete operator on the market! Both 230 volt and 24 volt are available and can be used for gates up to 3.5m each leaf in length. All accessories are compatible with the operators such as remotes, keypads, push buttons and intercoms etc. They are available in both electro mechanical and hydraulic versions depending on the usage and environment they are being installed in. In the eventuality of a power cut there is a key operated manual release allowing you to override the system and open the gates manually. Also 24 volt versions have the option of battery back up.